It’s easy to find standout materials for just about every special event out there, but what about the everyday promotional items? What are the must-have marketing materials that all small businesses should have in their arsenal? We’re privy to search information that tells us who wants what, when. 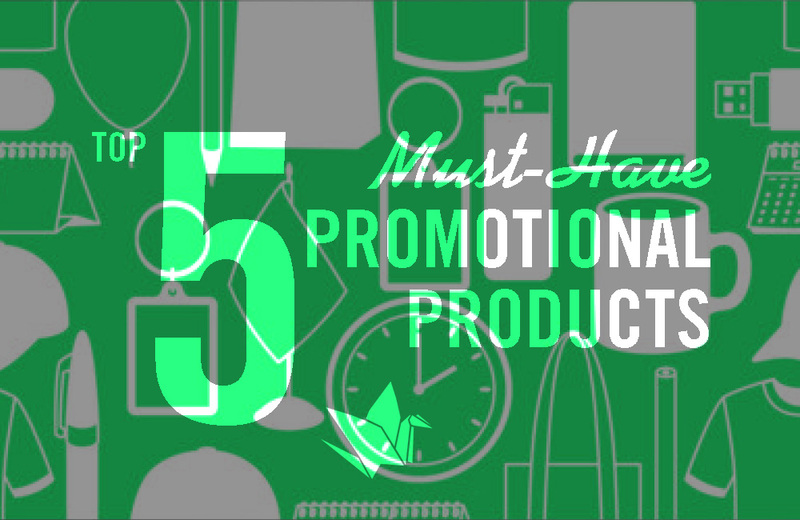 Here are the top-ranking promo items that consistently place in the top five throughout the year, perfect for any season and every occasion. Many conferences and events rely on name badges or event schedules in a lanyard clip. The strip of fabric holding that badge is an excellent opportunity for advertising. To instantly save half off costs, consider 1 or 2 color imprint instead of full color. Shop our supplier BIC for the standard look or our promotional store for more unique lanyards. The best thing about tote bags is they’re useful! All you need is a cute slogan or a great design to make your tote bag something people will want to use more than once. The more durable the product, the more use it will get at the department store, the grocery store, or honestly anywhere that something needs to get from one place to another. For you budget-friendly types, bags tie with pens for the lowest cost per impression. Figure in the reusability and tote bags are a no-brainer. Shop BIC here or our promo store here. Long term impact. The lifespan of a favorite coffee mug is “until death do us part.” What makes a mug a favorite, though? Size, style, and functionality. Let me just say from a coffee drinker’s perspective, the bigger the better. Quick turnarounds, shop BIC here. No hurry, shop RP here. Don’t just get a water bottle though. Step up your marketing game with a fruit infuser or a filtered cap. Even a simple item such as a reusable straw can mean the difference in your drinkware being the Chosen One. The absolute number one promotional item is the pen. Again though, don’t just get a pen. Our latest promo handout (stop in while they last!) has a highlighter on top. The most popular options lately have been anything including a stylus. BIC is your one-stop shop for any writing utensil. It’s just as important to understand WHY to use promotional products. Most people get the idea of brand awareness, which is literally stamping your logo on something and then hoping others see it. But there’s a psychological tug also, an obligation for the gift-ed to return to the gift-er. The positive impact on your brand extends to customers’ perception of the business, which means a higher likelihood of recommending and patronizing your business. Include great design and clever wording and you’re sure to have a marketing piece that stands the test of time. Get in touch with Rogers Printing and Promotional for all your marketing needs.